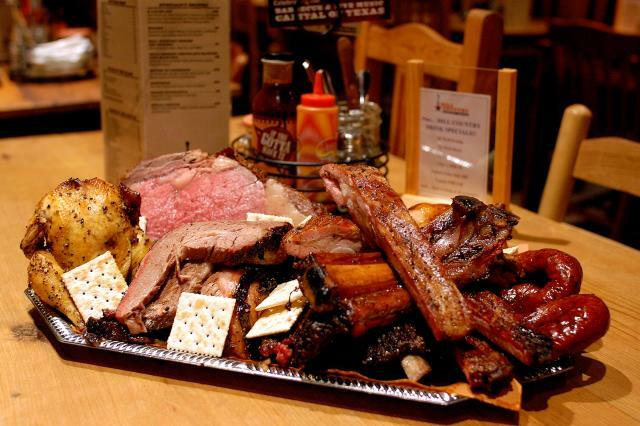 As a born and bred Texan, the very mention of the word "BBQ" sends me into a joyful tizzy. So you can imagine my emotional state when I was invited to attend the Beer, Bourbon and BBQ Festival in NYC this past Saturday, featuring an array of BBQ paired with a sampling of over 60 beers and 40 bourbons. Donning my best cowboy boots and sharpest Stetson hat, I rode off into the sunset in eager anticipation of the scrumptious feast that laid ahead. “The Essence Of Japanese Food/Adaptation Of Japanese Ingredients Into French Dishes” cooking demo by the legendary David Bouley at the International Culinary Center in Soho on January 25th was an eye-opener, even to the most seasoned NY chefs - and many were in the audience! At the event, Bouley announced that his new eatery Brushstroke, would be replacing his legendary Viennese-with-a-twist-of-Modern-American place, Danube (at 30 Hudson Street), in early July. Brushstroke will focus on the naïve cuisine of Kyoto, known as Kaiseki cuisine, with the twist of French that Bouley brings to all his establishments. As all good NYC-based foodies know, Chef Bouley garnered worldwide acclaim over 25 years ago as a chef at Le Cirque and later owned Bouley in several incarnations including the original on Duane Street, Bouley Bakery and Bouley Upstairs. The guy cannot do any wrong in our eyes. Nothing warms up a snowy Boston winter night faster than a Snuggie, back-to-back episodes of Jersey Shore, and a large bowl of hot soup. 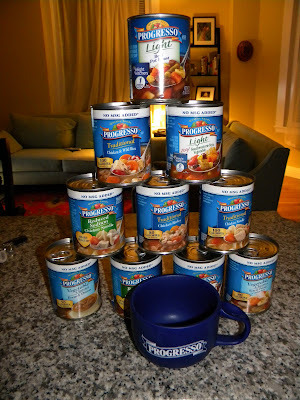 So imagine my excitement when I saw a large box filled with 15 different varieties of Progresso soup and a super cute soup mug waiting at my door the other night! I thanked my lucky stars (and my mailman who had to lug the weighty package to my door) that a satisfying and diet friendly dinner would be guaranteed for the next week. Progresso soups are filled with hearty ingredients like pasta, beans, corn and rice – which is great for curbing hunger (as I just started my annual lose-the-5 lbs-post-holidays-weightgain diet) – while being surprising low calorie (80-100 calories a serving). Plus it only takes 2-4 minutes to heat up – which is less time than a commercial break on MTV! So a few months back, I took my friend out for his belated birthday dinner. We decided to go to Douzo, as I was lured in by its snazzy website and close proximity to my apartment (travel times are kept to a bare minimum during the brutally cold Boston winters). Now my sushi experiences have ranged from Hall of Fame worthy (i.e. O Ya, Sushi Yasuda) to Hall of Lame worthy (i.e. BONDSt - although the waiters were hot, Todai), so I was pretty excited to see where Douzo would land on my Sushi Scale. As I entered the restaurant on that blustery Saturday night, I immediately realized I should of made reservations - the place was more packed than the opening day of the Barney's Warehouse Sale! And it was only 7:30! After we were finally seated (one hour later), we scanned the menu and placed our order.